"The latest announcement of the Congress Party if tested on simple arithmetic then Rs 72,000 is less than 2/3rd of the existing DBT under Modi govt, which averages Rs 1.068 lakh annually. So what is being claimed by the Congress Party - A bluff announcement," Jaitley said. 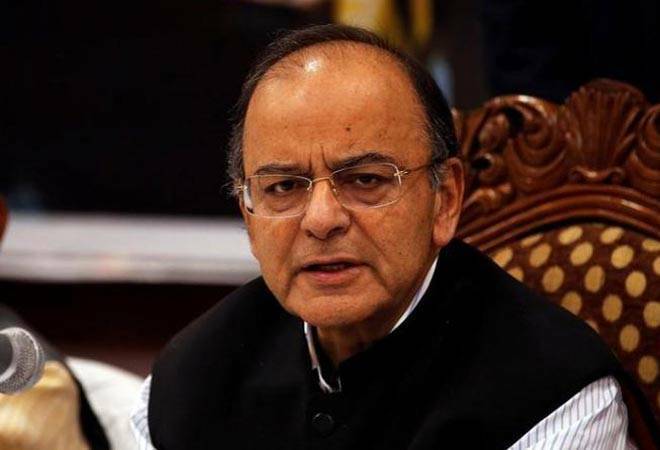 Finance Minister Arun Jaitley on Monday termed Rahul Gandhi's promise of minimum income support to the 20 per cent of the poorest in the country as the "biggest bluff". Finance Minister Arun Jaitley on Monday termed Rahul Gandhi's promise of minimum income support to the 20 per cent of the poorest in the country as the "biggest bluff". He said no political party has betrayed India for more than seven decades other than the Congress Party. "It gave people of India slogans and very little resources to implement them, but PM Modi has already given the poor what Congress promises," said Arun Jaitley. Earlier today, Congress president Rahul Gandhi promised to give Rs 72,000 per annum to 20 per cent of India's poorest families if his party came to power at the Centre. The scheme seems to be a direct challenge to the Modi government's direct benefit transfer of Rs 6,000 per annum to farmers. "The latest announcement of the Congress Party if tested on simple arithmetic then Rs 72,000 is less than 2/3rd of the existing DBT under Modi government, which averages Rs 1.068 lakh annually. So what is being claimed by the Congress Party - A bluff announcement," Jaitley said. Taking a jibe at Congress' promise of minimum income support of Rs 12,000 per month, FM said that today most industrial workers get more than Rs 12,000 month. "The minimum starting salary in government after the 7th CPC is Rs 18,000 a month. The landless and poor, amongst the villagers, get a MNREGA payment. Minimum wages for the labour have been raised by 42 per cent." Showcasing achievements of his government, Jaitley said that in the last 5 years, Prime Minister Narendra Modi introduced Direct Benefits Transfer (DBT) through banks. "Besides subsidies for food, fertilizer, kerosene, 55 Ministries handed over subsidies to the poor through the DBT which was enabled by AADHAAR." Transfer through DBT means the subsidy amount would be directly transferred to the beneficiaries' bank accounts instead of providing it through government offices.